DANIEL A. PALLOTTA, MCPPO has over 25 years experience as a Construction Manager and General Contractor with a varied list of projects from large public to private buildings, in both urban and suburban settings. Acting as the Owner Representative for the MSBA grant, Mr. Pallotta completed the entire MSBA process and guided his Town, the Town of Hanover, in completing the entire permit process from start to finish. He has acted as a public servant and was Chairman of a building committee that successfully completed 3 complex schools construction projects simultaneously. He was also Chairman of his local Planning Board, a former Town Moderator and currently serves as Selectman. He has sat on all sides of the process, as Owner, Contractor, Municipal Official and Project Manager. 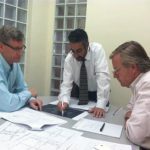 Registered Architect, STEVEN C. HABEEB, AIA, MCPPO, LEED AP has over 30 years experience in project management and public planning. He has been the Principal-In-Charge/Project Manager on dozens of educational, commercial and municipal projects. The projects were well designed and constructed, properly applied, on-time and within the budget requirements. His experience has given him an excellent working knowledge of the procedural requirements for public construction projects, including the recent new regulations, and he has received many endorsements for his outstanding designs, and the professionalism and ease of working with his team. BRADLEY C. MCKENZIE, P.E. is a Registered Professional Engineer with over 25 years of experience in the design and construction administration for an array of multi-million dollar municipal projects. He has directed personnel and has been the project manager for dozens of municipal public works projects throughout the New England area. Brad has been responsible for the management of all aspects of the civil/site engineering for these projects from the feasibility through construction phases. His extensive construction management experience has resulted in a smooth and successful implementation of his client’s projects. 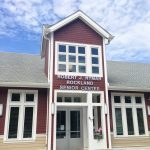 It is with great pleasure, I recommend Dan Pallotta and his team at P-­Three Inc. Having Dan as our Project Manager for our new Senior Center was without doubt the best thing that could have happened to our Building Committee and the Seniors of Rockland. He made my job as Chairman of the Building Committee a wonderful experience. I am writing as a former Selectman and Select Board Chairman for the Town of Rowe Massachusetts. I chaired Rowe’s Select Board when the catastrophic lightning strike destroyed our Elementary School on August 4th, 2012. It is with great pleasure that I pen this letter of recommendation for the work performed by your P3 Inc.inthe construction of our15,000 square foot addition. 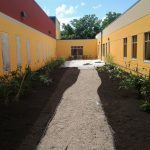 On behalf of the Holyoke Community Charter School,I would like to thank you for your attention to detail and your overall management of our building project.P3 has performed admirably in overseeing the planning and execution and development of our new facility. 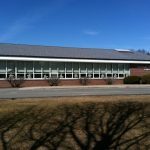 During the past seven years, The City of Westfield and in particular my office has worked directly with Dan Pallota, principal of P3. 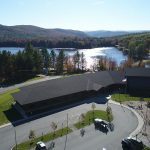 They ahve assisted with a multitude of projects including MBSA (Massachusetts School Building Authority) related construction projects, Energy Management Services Contracts totalling over 20 million, construction oversite of our 20,000 sq ft senior center and most recently a renovation and addition to our Little River Road Fire Substation. P3 offers superior quality, service and professsionalism. The P3 Principals have the knowledge to make a daunting and complicated task seem easy.